The Revolution of Saline Solution! When using tDCS, Saline Solution must be applied to the sponge electrodes in order for the electrical current to effectively pass through the sponge material to reach the cranium. This 2 ounce leak-proof squeeze bottle takes the hassle out of carrying and applying saline solution to tDCS sponge electrodes. The small tip opening is the perfect size to dispense the solution at an even, steady flow-rate, which won’t over soak the sponges. 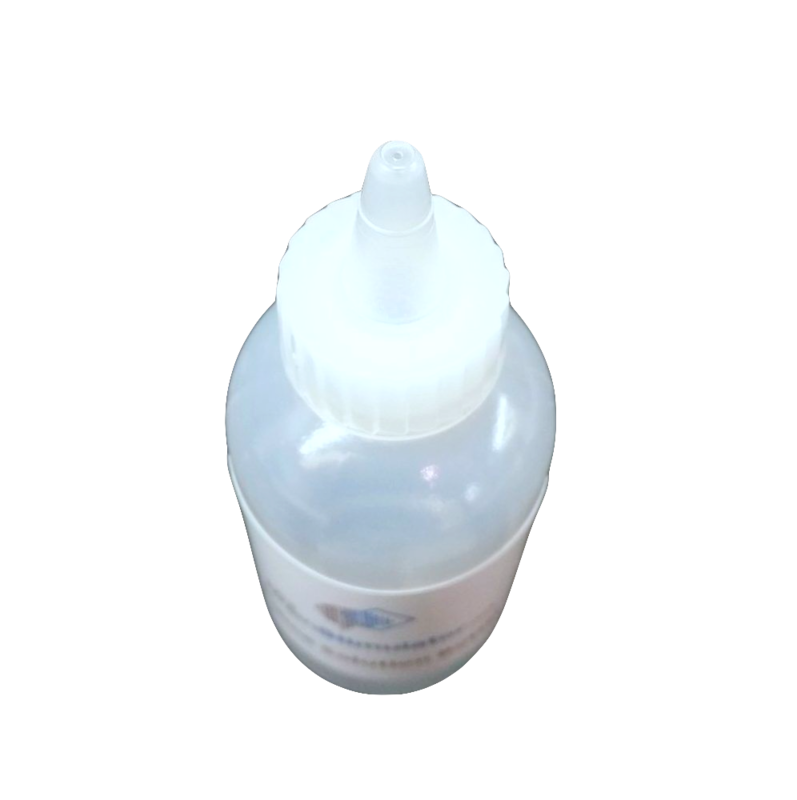 Due to the precision provided by the long spout, this applicator bottle will even allow the application of saline solution directly to the sponge electrodes without first needing to remove the rubber casing. 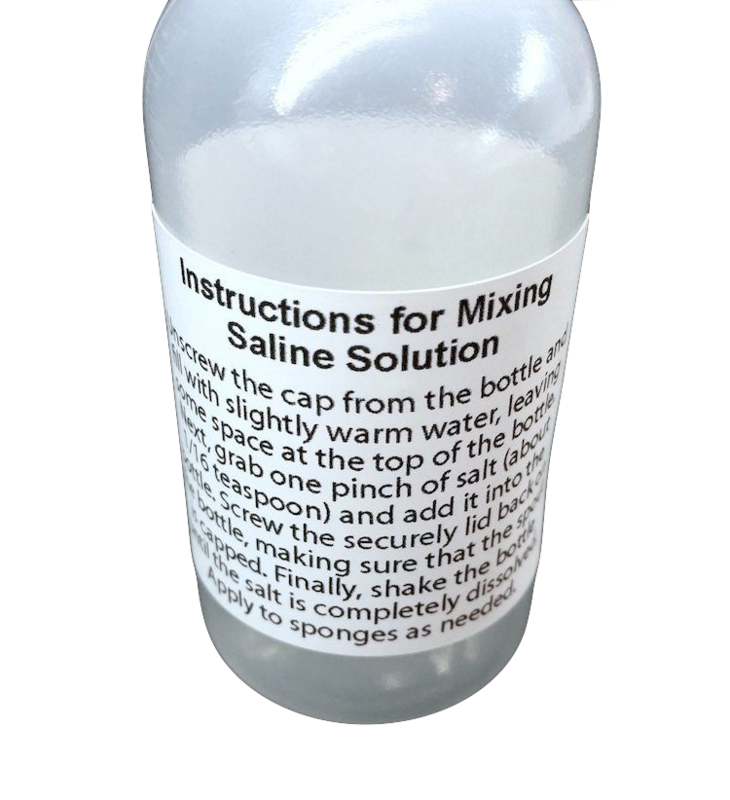 Furthermore, we included detailed instructions on the back of the bottle which will guide you through effectively mixing up your saline solution. Please Note: The applicator bottle ships empty for safety & sanitary reasons, but includes mixing instructions. 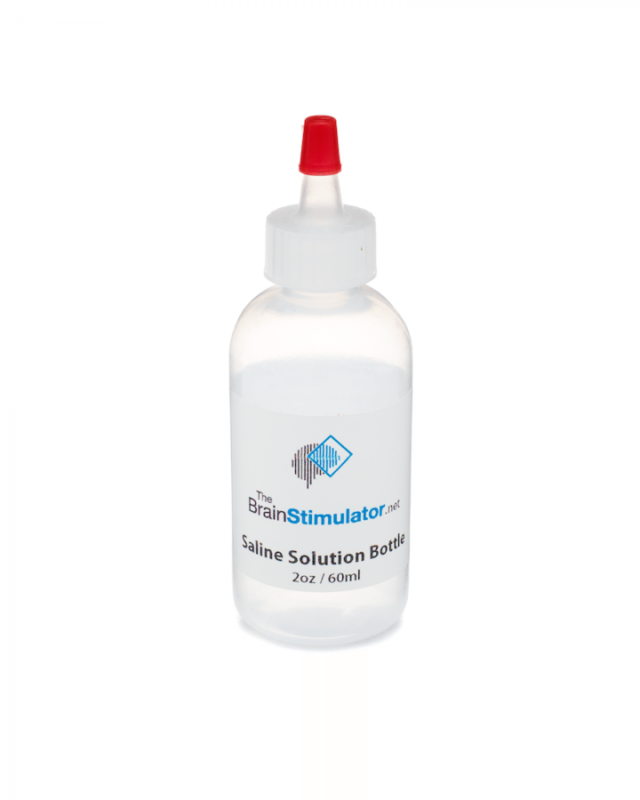 What is Saline Solution, and why do I need it for tDCS? 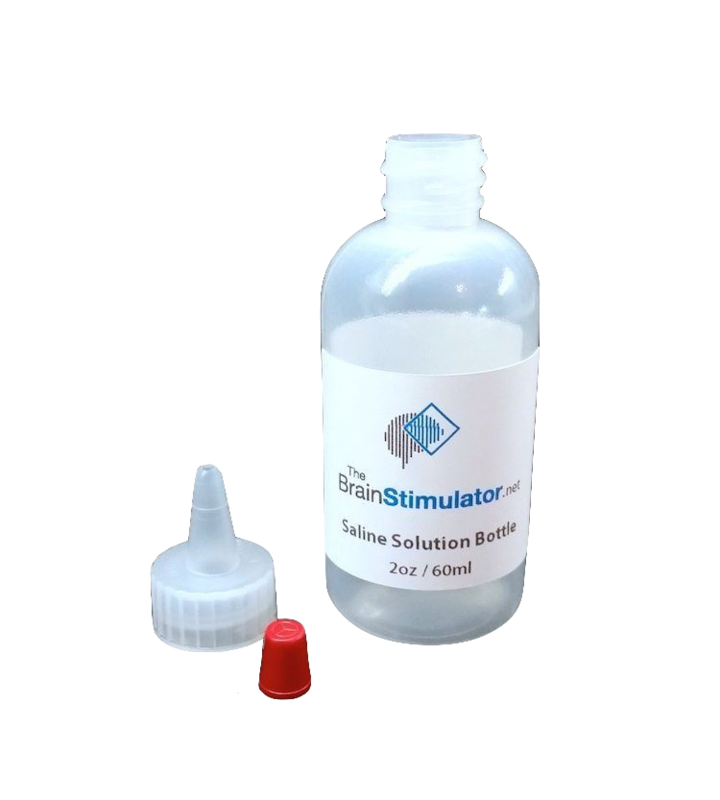 Saline solution is a simple mixture of salt and water which is soaked into sponge electrodes for tDCS. Plain water in and of itself is a very poor conductor of electric current. However, by adding salt to the water, electric current can “jump” across the salt molecules, helping to form a complete connection. By using salt water (saline) with your sponges, you greatly increase the conductivity of the sponge electrodes. When using saline soaked sponges, individuals often find that the session is not only more effective, but more comfortable as well. Often the tingling or “itching” sensation, which may be experienced when sponges are soaked with ordinary water, can be lessened or even removed completely if replaced with saline soaked sponges. I’ve been using tDCS for a few months now and It took me about three months to slowly work up to the full 2mA setting. I have another tDCS unit I was using which was leaving a lot of irritation, even though I made saline solution according to the instructions and some recommendations from reddit. I finally ended up buying this cool squeeze bottle (along with The Brain Stimulator) which allowed me to increase the stimulation much faster. It’s also helped with memory and recall, organization skills, and paying attention. It’s not just a placebo effect- I can see my work performance has improved and I’m doing better, quicker work. My apartment is also cleaner, I’m getting more chores done, and things just feel easier. Overall it was great for me!